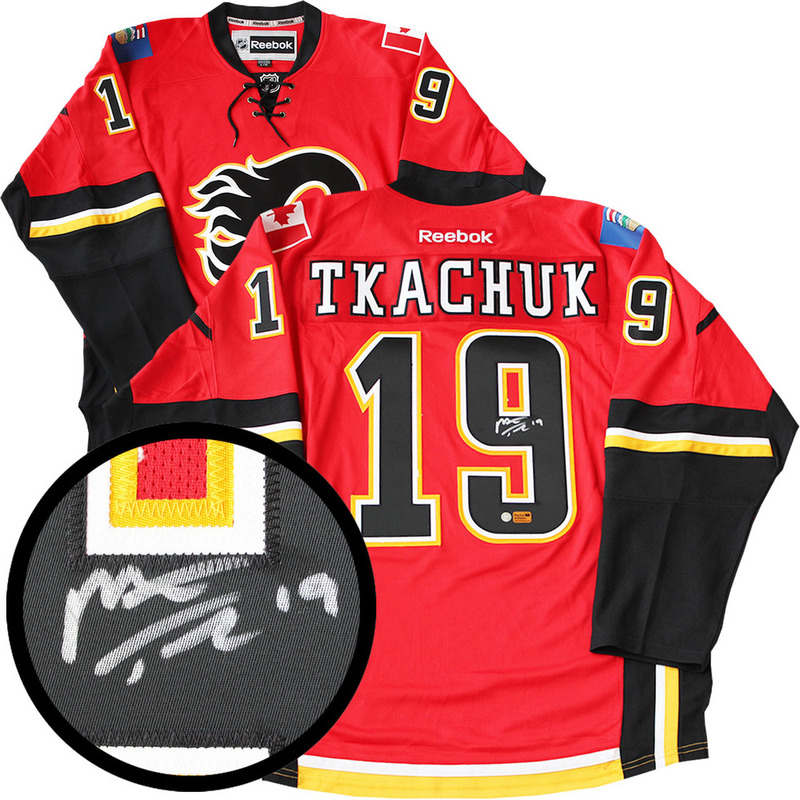 This jersey comes personally signed by Flames, Matthew Tkachuk. Tkachuk was drafted 6th overall in the 2016 NHL Entry Draft. Tkachuk made the Flames line up straight out of training camp and was playing as a top 6 forward for most of the season. Tkachuk put up 48 points in his rookie season, finishing 7th in the Calder Memorial Trophy voting. Through his first two seasons, Tkachuk scored 97 points in 144 games. This NHL & NHLPA licensed product comes with a Frameworth COA and hologram to ensure the authenticity of the autograph. When will my shipment arrive?